I'm Debbie and I'm a fabric hoarder. First, it started with paper and the attractive prints and weights. But then fabric came into focus and before you could put your thimble on, I had a stacked assortment that was collecting dust more than it was being used on projects. My Pinterest board - Sewing and Knitting - collects ideas that will one day bring this stack to a limited supply and I would have shelf space again. That day turned into weeks, months, years ... It's a sad story that many crafty homes across the world can tell (thinking you quilters are guilty of this fabric pleasure). I would try four easy projects that would clear out [some of] my fabric treasure trove and inspire you to try sewing if it's on your bucket list. I didn't have anything in particular that needed to be made, but here's what I took on and the pleasurable results and learnings! After reviewing three different tutorials, I found the Melly Sews zipper pouch tutorial to be the most helpful, and utilized more fabric with the liner. The only thing I had to purchase was a zipper. I'm not even going to bother going into detail because she is a rockstar teacher, but I did have a little trouble with the zipper ends. 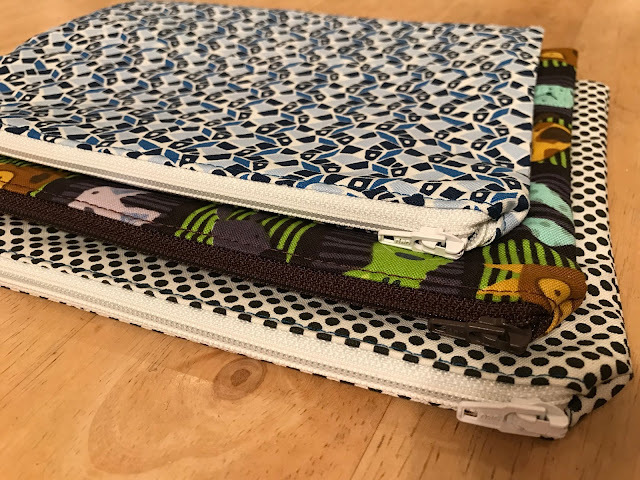 I created three pouches and felt that each one was a little different as I learned to work those zipper edges. I found another tutorial that added some length to the zipper edges to create a crisp corner (check out The Kim Six Fix here). For the next round of fabric purging, I'll attempt this zipper corner solution. 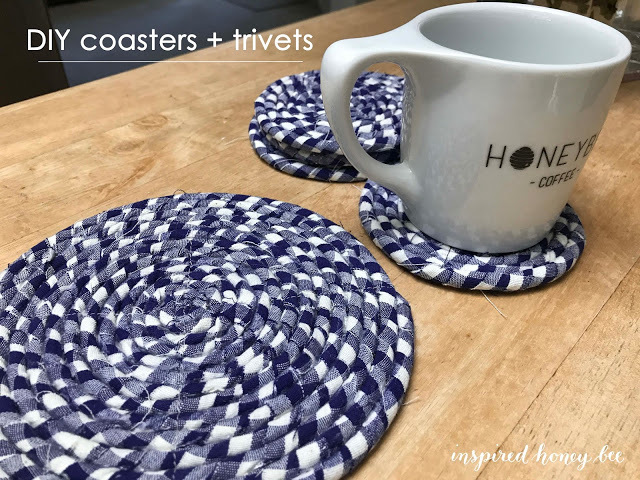 You saw this project in a previous post, but I've created these two more times since I created the initial blue and white checkered coasters (now in Snowpeak Retreat). Surprisingly, my guests and friends have asked about them and that quickly turned into housewarming or hostess gifts. 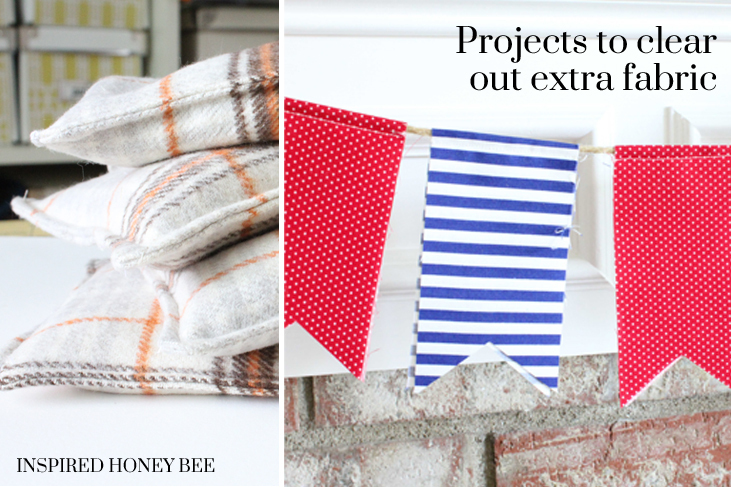 You just need the rope and a glue gun (sewing machine optional) to create these little darlings. When I first created these beauties, I planned to sew the rope as I shaped it into the larger circle. But planning was easier said than actually executing. You'll read in my tutorial that I took a shortcut and glued the rope, and then used the sewing machine to create a X across the finished product. 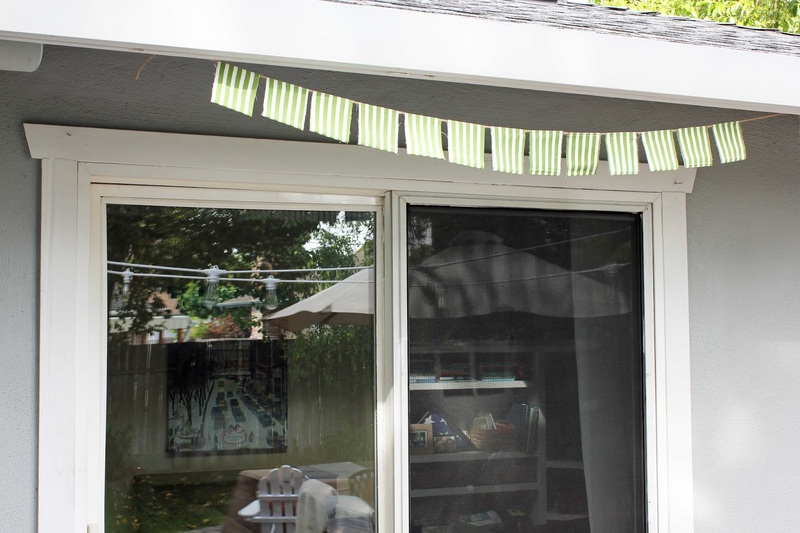 Us crafters are no strangers to banners and creative party decoration, but since we were on the mission to clear out some of this fabric, I created two outdoor banners to add to our primary backyard and Snowpeak Retreat balcony. The goal was to create semi-permanent flags that would live outside and brave the weather. Cut strips of fabric 10" x 2.5" in size. Fold the fabric in half and press the fabric to create the crease in this image. 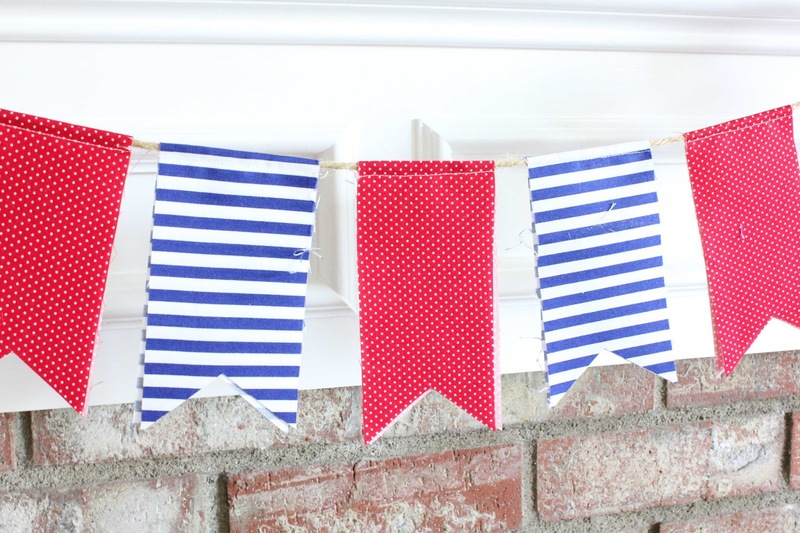 Your flags will be 5" x 2.5"
Fold the fabric over jute (or other string) and sew the fabric to the jute. If you don't have a sewing machine, you can also glue your fabric with a little bit of hot glue. This makes the banner double-sided which is fun to add in an outdoor setting. 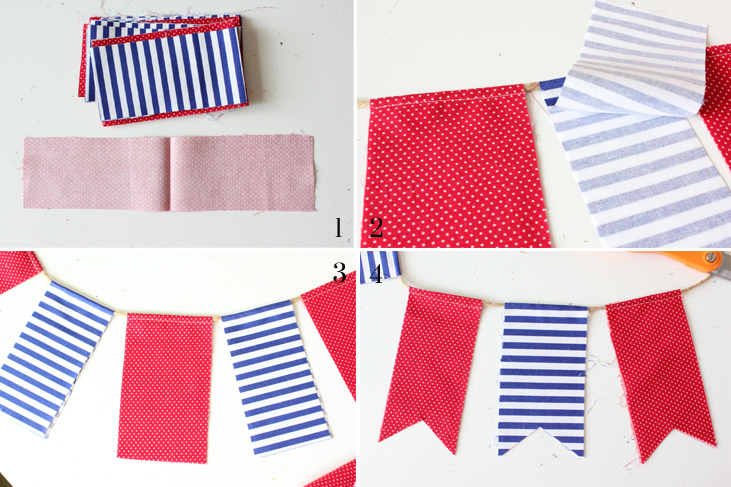 With fabric scissors, cut a triangle at the bottom of each flag. I cut the first one free hand and then layered it over each of the flags as a template. The second banner was an accidental project, really. I created a chalkboard banner (a million years ago) with the intentions of using to celebrate birthdays, accomplishments, Fridays. Ultimately, I really only used this thing once, pulled of the chalkboard squares, and left the fabric stacked with my stash. When I started purging, I grabbed those fabric squares and looped jute through each one, sewing it down to keep the squares in place. Nothing super fancy ... just a little colorful banner above our backyard sliding door. I always loved the look of this outdoor nautical banner, and I have enough twine to wrap the Washington Monument from top to bottom. Since we rent out our Truckee home, I aim high to create a cozy experience for my guests. 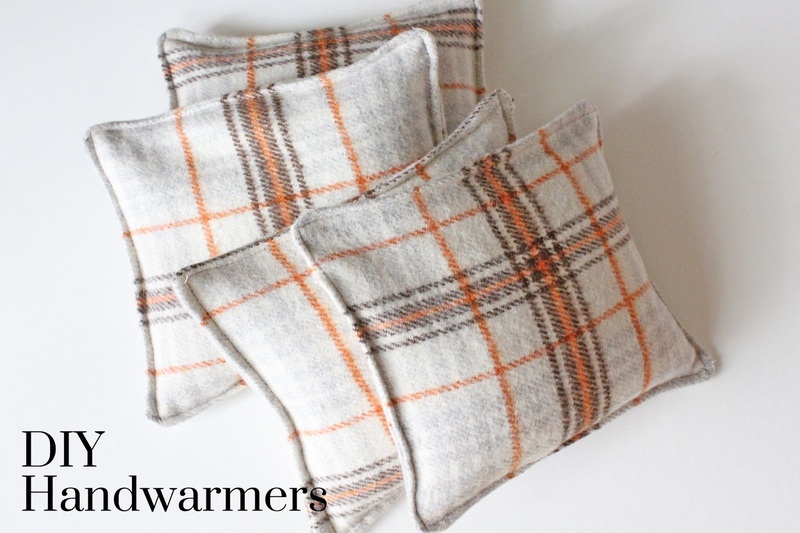 I made these hand warmers - with a tutorial from Sadie and her uber precious cat Cottonball - to have available at the unit for chilly nights. I was able to utilize leftover flannel fabric that I had on hand, and filled the pouches with white rice (I didn't add the essential oils).